The American Vision: Modern Times presents the rich saga of American history after the Civil War. Adapted from the modern history portion of The American Vision, this program features the same exceptional scholarship. The American Vision: Modern Times presents the rich saga of American history after the Civil War. 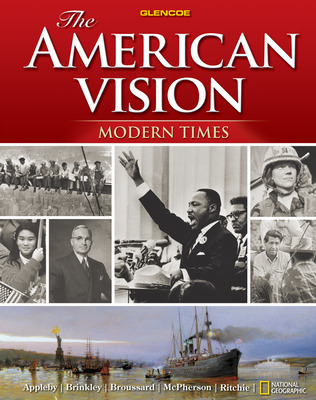 Adapted from the modern history portion of The American Vision, this program features the same exceptional scholarship, accurate maps, peerless resources, and unique strategies found in The American Vision.